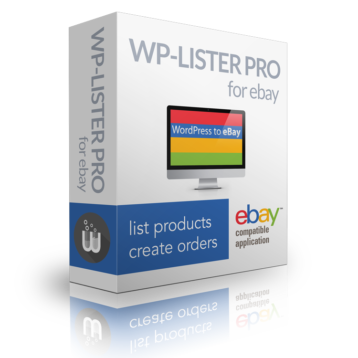 WP-Lister connects your WordPress powered e-commerce website with eBay. You can select any number of products right from your products page, select a listing profile and list them on eBay with just a few clicks. You’ll find more details and screenshots in our Installation Tutorial. After you’ve created your first profile you can just duplicate it if you need more, since most of these settings will be the same for all your listings. Once you have listed an item, it will have a “View on eBay” link beneath it which will open the item on eBay in a new tab. For a quick demonstration watch our Introduction to listing items on eBay (Screencast).